The Soma Flex Imperia is a state of the art press in either 10 colours or alternatively 8 colours with a large repeat. The machine is a sohisticated mix of user friendly, enhanced efficiency coupled with high speed production at up to 600mpm. 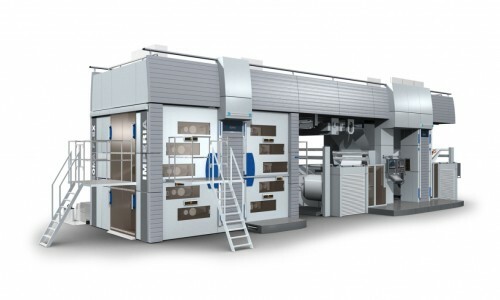 Soma Premia is an 8 colour gearless press which delivers performance with fast changeover and high running speeds with top class printing performance.